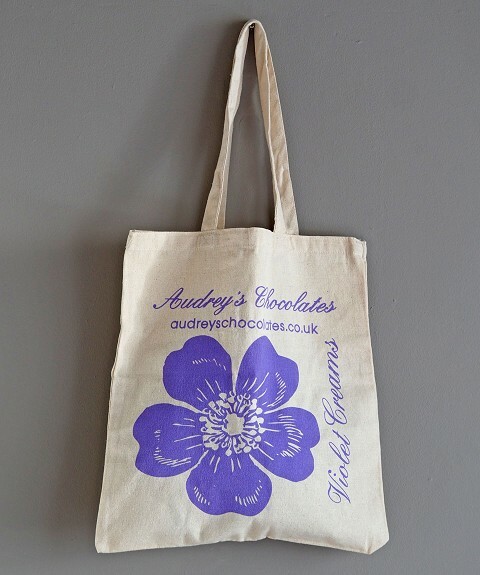 You will love our new cotton bag celebrating our signature chocolate violet creams. Made from 8oz cotton size 38x42cm. 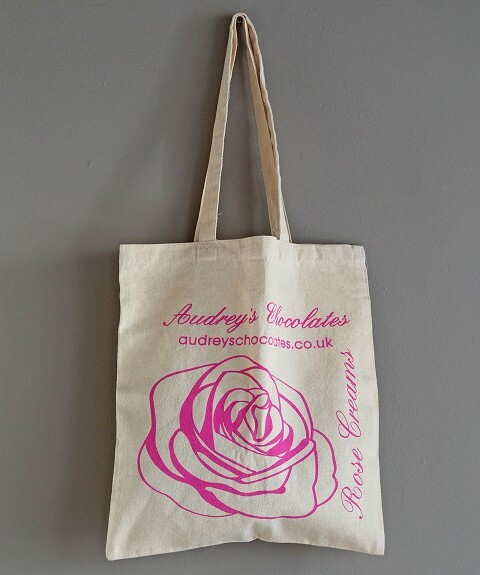 You will love our new cotton bag celebrating our signature chocolate rose creams. Made from 8oz cotton - size 38x42cm. If you love the sugar almonds you are given in wedding favours then spoil yourself with a whole jar. If you love marzipan then this is the jar for you. Filled with marzipan shaped fruits - delicious. 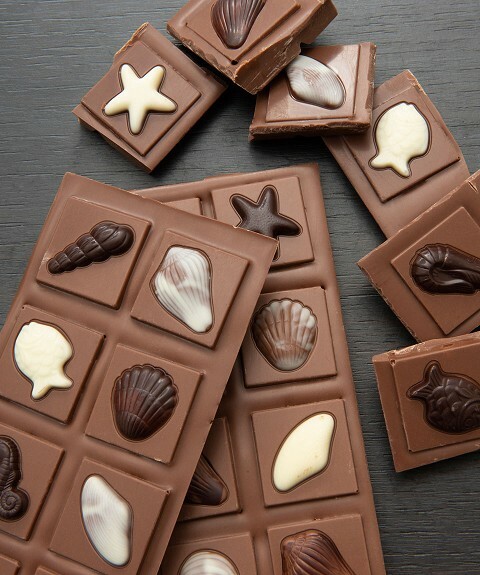 Nothing says I love you like chocolate and these foiled milk chocolate hearts are the perfect gift. 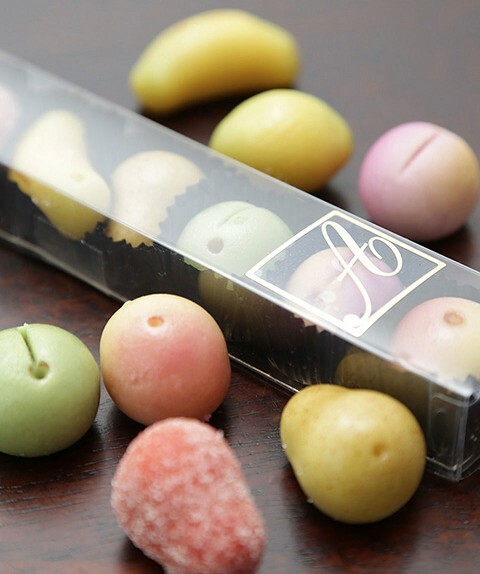 If you love coffee then you will not be able to resist these coffee beans coated in our Audreys chocolate. 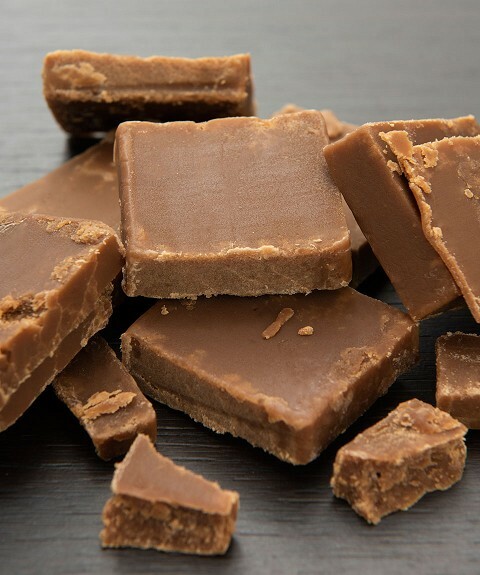 Audrey's Caramel Fudge with Sea Salt - perfect sweet treat. A perfect gift or treat. 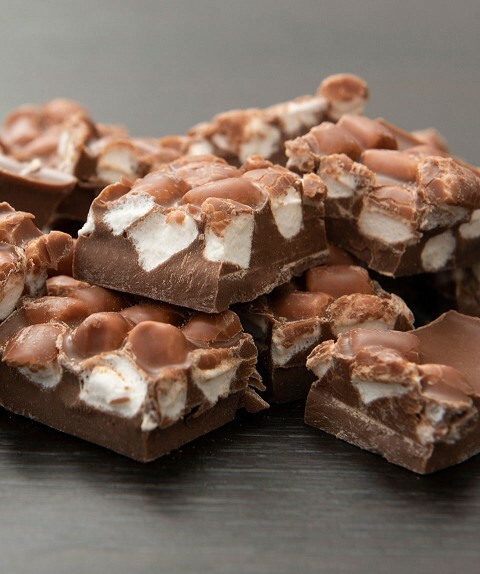 A bag filled with milk chocolate chunks with with marshmallows - hard to resist. A bag of delicious dark chocolate made mixed nuts - something special. 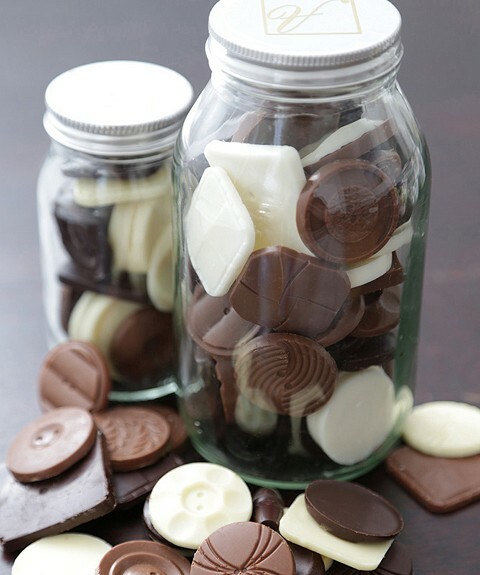 Milk, white and dark chocolate hearts - in a clear box to surprise the one you love. 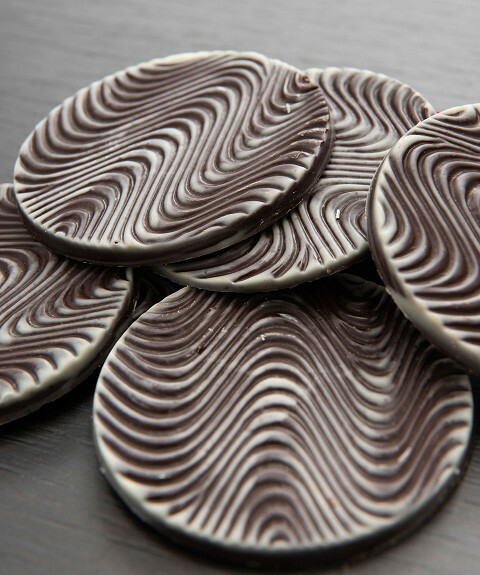 Our NEW large mint discs in plain chocolate decorated with swirls and white chocolate - simply irresistible. A bag fill with our traditional coconut ice - everyones favourite. 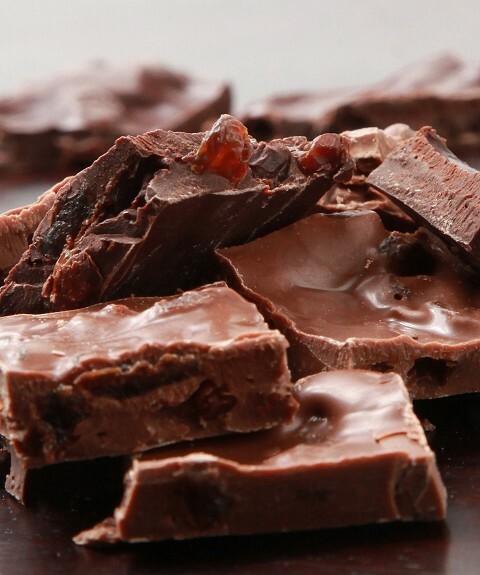 What could be more perfect - Audrey's Fudge, choose from Vanilla, Rum and Raisin, Coffee and Cream, Sea Salt Caramel or Chocolate. Order a bag of all the same flavour or if you would like a mixture please put the flavours you would like in the comments box on check out. A heart shaped box packed with a selection of handmade milk and plain chocolates. Try our raisin and pecan squares. In each box you will find white chocolate with raisins and pecans. 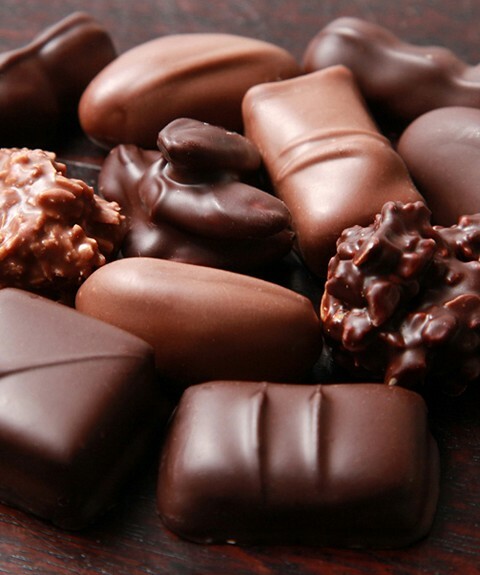 ruby chocolate with raisins and pecans, milk chocolate with raisins and dark chocolate with raisins. Fancy something different. Try our ruby hot chocolate - easy to make just mx with hot milk. 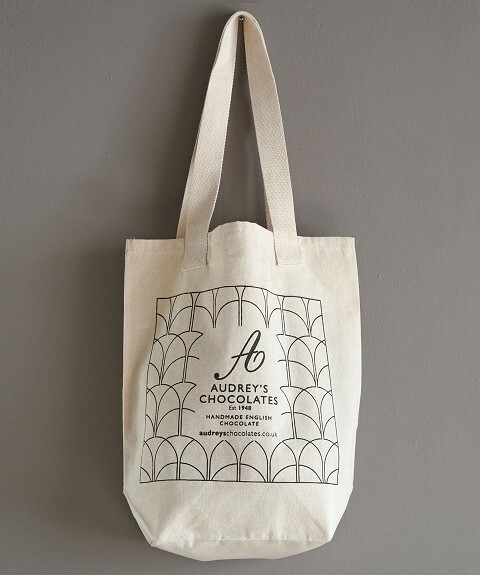 Available in small and large bags. 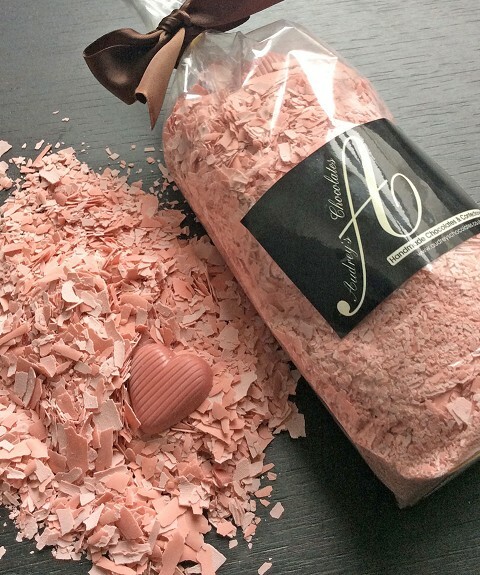 If you love our handmade chocolates, why not try them covered with our new ruby chocolate. Packed in our clear tubes - contains a mixed selection. 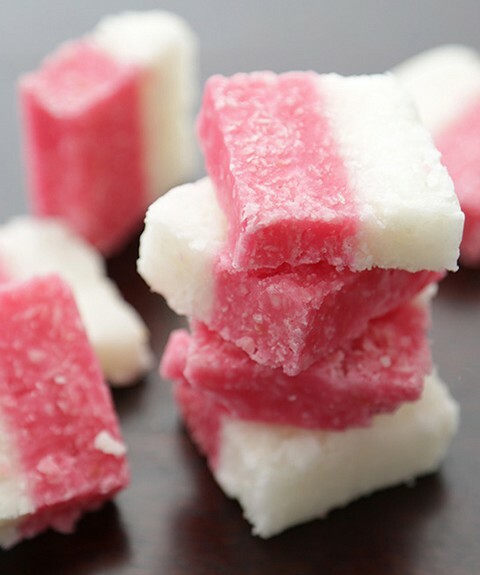 Discover with our new ruby chocolate - delicious. 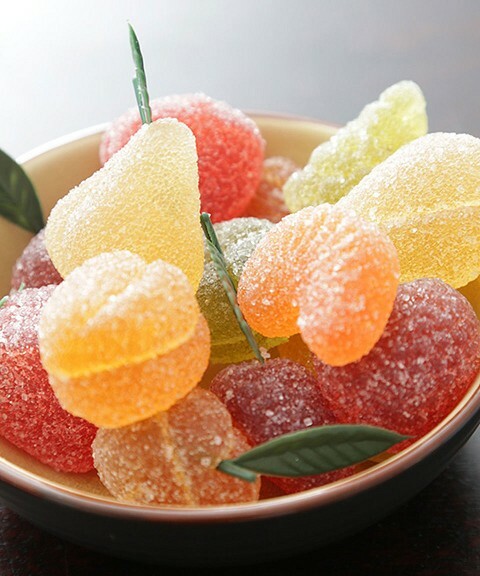 A bag full of our sugar jelly fruits - a special treat. Perfect for Weddings or as special gifts for Events. 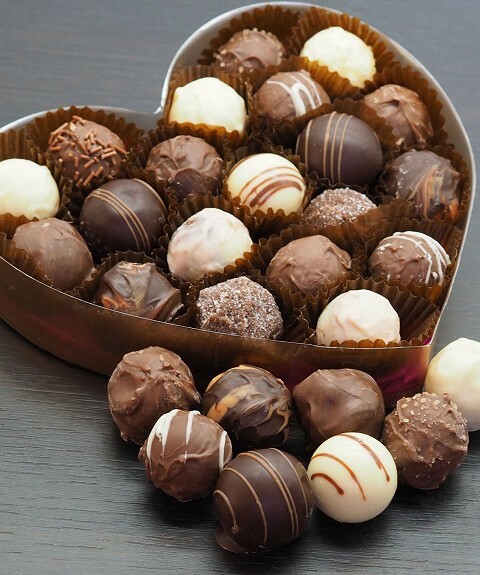 Choose from either a two chocolate box which will have one milk and one dark chocolate or a three chocolate heart box which will contain our chocolate truffles. Hand dipped in bitter chocolate. 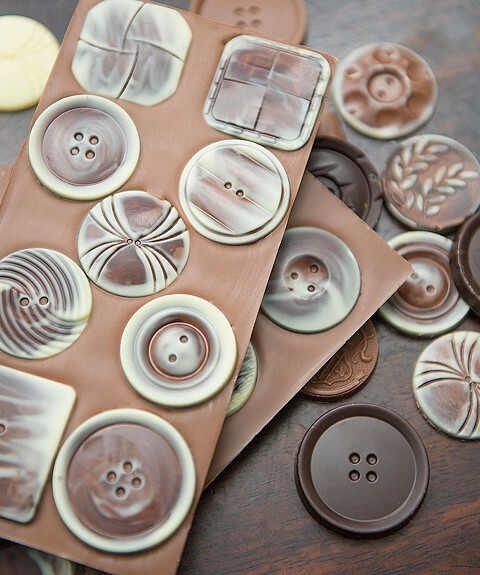 Made from our award winning chocolate in our own unique moulds these very special buttons have a great story to tell, watch the video in the Press Coverage section of this site. 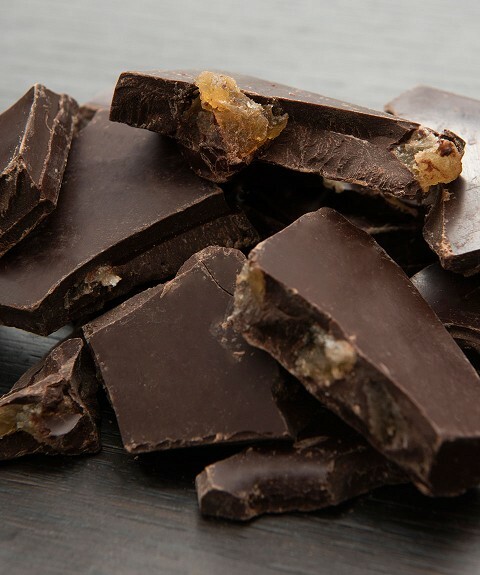 We add lots of juicy raisins to the plain and milk chocolate to give it a distinctive flavour and texture all of its own. 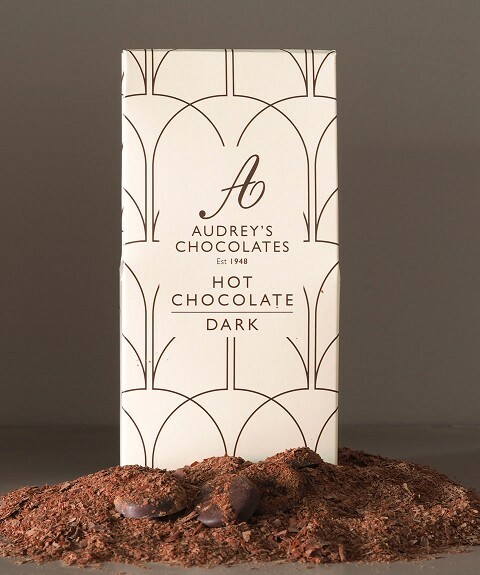 300g of our own blend chocolate - just add hot milk and you have the perfect drink. 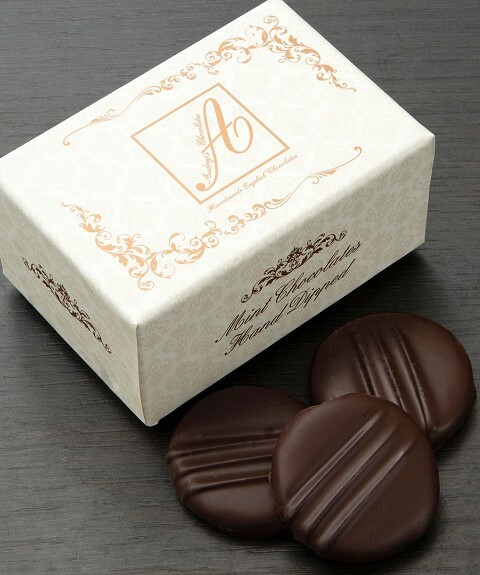 A selection of nuts including almond, brazil and hazelnuts, together with fruit & nut, butterscotch, nougats and caramels are packed in this box in milk & plain chocolate. 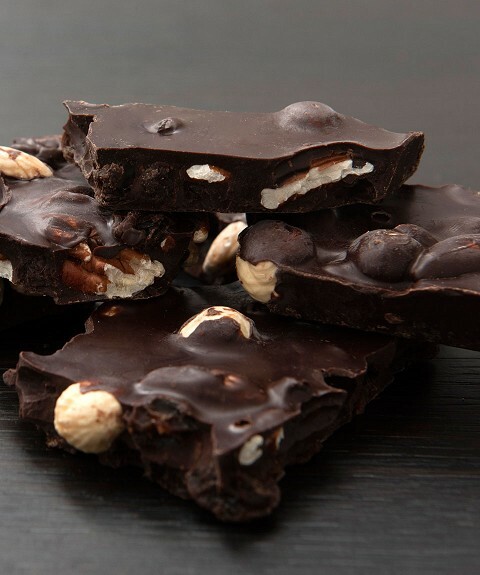 A choice of milk or plain, hand decorated 100g chocolate bar with a selection of chocolates. Please state your preference for milk or plain in the 'special instructions' on the checkout page. 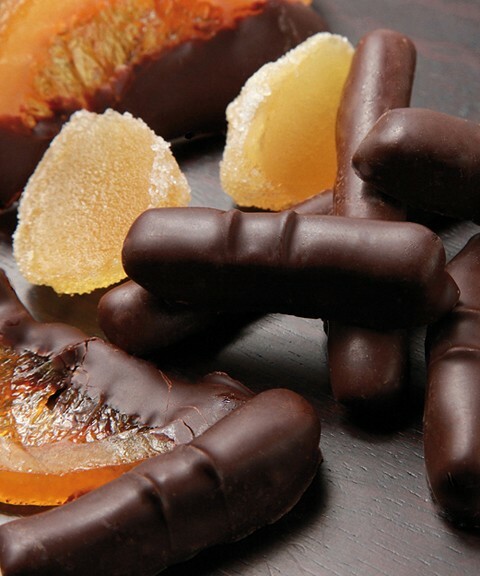 Both ginger and orange are cooked and prepared in our kitchen to give a fuller flavour and dipped in plain chocolate.